If you’ve looked over a ‘how to get started in cryptocurrency’ guide you’ll realise that finding a broker is an important part of the process. Crypro brokerages are also an extremely competitive area – which means big marketing campaigns, affiliate schemes – and plenty of websites telling you exactly who to use. Sadly, it’s pretty obvious that most of those things point you in the direction of whoever’s spending the most money to get you onboard – not always the best choice for you! Rather than point you in one direction or another, we’ll run you through 10 of the most reputable brokers and exchanges currently operating – and give you a few pointers that might help you make your decision. In terms of established names, you won’t find many more solid than Coinbase. They’ve got a nice and simple step by step process that sees you create a digital wallet, connect your bank account then start buying currency. Coinbase only trade Bitcoin, Ethereum and Litecoin at the moment – so if you’re looking for something less well-known, you might be better starting somewhere else. For the 3 big currencies, Coinbase is a good bet. CEX.io is another well known name in crypto – and has the enviable record of having never lost any user’s funds to theft. Combine that with a 99.999% service availability and CEX.io presents as a very safe and dependable choice. The site meets financial legal compliances in some of the most stringent countries in the world too – so you’ve got more than just a few good reviews backing your choice of broker up. Reading a Localbitcoins review will make it clear that this isn’t your average crypto broker site – instead, the service is a true peer-to-peer bitcoin trading service. Imagine a classified site but entirely for Bitcoin – the site allows users to post advertisements offering their own exchange rate and payment methods. Localbitcoins consider themselves the future of Bitcoin trading – a peer-to-peer service for a peer-to-peer currency. Wall of coins cite themselves as being the most trusted crypto marketplace on Earth – and a bit part of that is the way they handle their customers and their coins. A lot of brokers offer a wallet that doesn’t offer you direct access to your coins and their keys – but Wall of Coins does. Not only that, but all coins are held in ‘cold’ storage – an unmarked secure facility with the highest level of security. A lot of companies that hold coins offline take a while to grant access and begin transactions – which can be limiting – but Wall of Coins offer access within 15 minutes – impressive speed. Coinhouse is one of the few crypto exchanges that’s based in France – and it’s run by Ledger, the team behind the Ledger Nano S – one of the most highly thought of hardware wallets on the market. As such, you can sleep easy knowing your currency and details are in safe hands. Coinhouse deliver your currency immediately, meaning you’re free to spend your time as you wish – rather than sitting around waiting for your account to credit. They comply with regulations throughout Europe and the USA and pledge no hidden fees – so what you see is very much what you’re going to pay. ItBit crank up the authority on their site and through their marketing material by concentrating on financial organisations and Bitcoin trading professionals. They’re regulated throughout the US and offer bespoke services for clients who are trading serious numbers of Bitcoin. ItBit very much put themselves forward as the next level of crypto exchanges – and part of that is their high level of customer support. If you need help – they’ve got dedicated customer support representatives available online or via the phone at any time of the day or night. Twin their levels of customer care with the fact that they were the first regulated Bitcoin exchange in the US – and you’re onto a safe bet. Changelly is a little different to the other services on this list – in that it doesn’t trade in traditional currencies whatsoever – so your GBP, USD or EUR is no good here! Instead, you’ve got the chance to find some exceptional exchange rates between digital currencies – better than the services that deal with standard debit and credit card transactions. When you visit the site you can enter the currency and amount you wish to trade from – and you’ll get a real time indication of how much you can expect out from your desired coin. Because Changelly doesn’t actually hold any coin – all transactions are facilitated directly with the relevant user and trading platform – protecting user anonymity. This is a good review of Changelly that we would highly recommend that you read. Although Coinmama only sell Bitcoin and Ethereum, they pride themselves on ease of use and speed – so if you don’t have the time to sit around making sure each step of the process is going to plan, you might find yourself right at home here. Select an amount, click ‘buy now’, enter your card details and you’re done. Plus, you can quickly and easily track the status of any order. Simplicity at its finest. Where most exchanges only accept Visa, Mastercard and PayPal – Bitpanda are happy to accept any one of 10 payment options – from Skrill to SEPA. Bitpanda came to life after its founders – all Bitcoin enthusiasts – discovered how difficult it could be buying Bitcoin in Europe. The service is fully automated – as soon as you submit your payment you’re automatically credited with the cryptocurrency of your choice. Their homepage has an exceptionally detailed FAQs section that will take you through any uncertainties you have about the platform. As you might be able to guess from the name, Bitquick is another service that prides itself on a quick turnaround time for customers – and while they don’t claim to be instant – you can get the transaction time for their 10 latest orders on their site – and it’s usually less than 20 minutes. One of the big factors that sets Bitquick aside from anyone else is that fact that they handle cash – real cash, transferred to their account – rather than credit or debit card transactions that require the card issuer as an intermediary. You can expect some ID checks if you’re dealing with massive figures – but that’s to be expected – and there aren’t many exchanges that handle cash transactions so quickly and safely. There are lots of resources online such as the Elliott Wave theory that’ll explain how to start out with using their particular Forex brokerage or tools – but not as many impartial guides that’ll give you an overview of the steps you need to take. Base: The base currency is the one you’re holding or selling. Quote: The quote currency is the currency you’re purchasing. Pair: A pair represents the two currencies you’re dealing with in a trade. Exchange rate: This is the rate at which the base can be exchanged for the quote. Long: This is a trading position, in which you intend to buy the base and sell the quote. Short: This is a trading position, in which you’re buying the quote in exchange for the base. Spread: The rate at which a broker buys and sells currency is referred to as a ‘bid’ and ‘ask’ price respectively – between those two prices is the ‘spread’. Point/Pip: This is 0.0001 of the change in value between two currencies. It’s worth becoming familiar with the different currency acronyms too – as well as the terms that relate to different buying strategies. Having a look at some Forex quotes will give you a good idea of how the previously mentioned terms fall into place. Generally, you’ll see bid and ask price that relates to the broker you’re using, the opening price for that currency – as well as the highest and lowest values the pair has achieved that day. Things get really interesting when you see the red or green columns – indicating whether the base currency in the pair is up or down in value against the quote. Searching for brokerage accounts is generally going to return reputable companies on the first few pages of Google – and assuming you do a little homework into them before you sign up (to make sure you’re happy with the way they operate) then you won’t go far wrong. That said, not all brokerages are regulated or even legitimate – be careful to do some reading up before you commit to giving your detail and money to anyone who’s been recommended as part of a chat, forum or social media conversation. Chances are you’ll be fine – but it’s better to check. It’s also important to check that the company you’re going to be using complies with your local financial regulation – for example, the Financial Conduct Authority (FCA) regulates companies offering financial services in the UK. Check your local laws and regulations if you’re not sure. Generally, brokers will offer two types of account. A personal account lets you execute trades yourself – whereas a managed account will see trades made on your behalf by a broker working for the company. If you’re here, the chances are you’re looking to do the trading yourself, but watching what a broker does with your money can give you a good indication of how someone more experienced approaches the market. Signing up for a broker account normally involves submitting some paperwork to confirm who you are – such as a driving license, utility bill, passport – and so forth. Don’t panic, this is normal and just the broker’s way of staying compliant with their local money laundering due diligence laws. Technical analysis: The studying of historic data relating to the currency and the conditions that surrounded the fluctuations in price at that time. 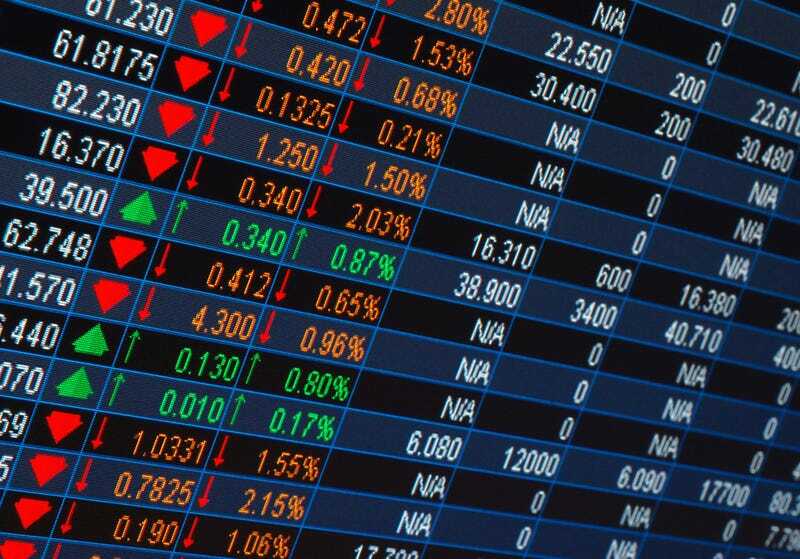 Fundamental analysis: This is the study of fundamental data relating to the country’s economical position and using this data to inform your trades. Sentimental analysis: The ‘sentiment’ of the market relates to how traders are reacting to the current currency fluctuations. Analysis of this information can give an indication of the currency’s immediate future performance. Now, understanding margin could take up books as a subject by itself, however, it’s important that you think about it now as it can have a huge impact on your trading. Often, a broker will allow you to trade greater amounts of currency than your capital allows. For example, at 1:50 rate, with £1,000 of capital you’d be able to trade £50,000 worth of currency. This means your capital can go a lot further, but you’re multiplying your risk – as well as potential rewards. When you feel ready, you’ll be able to make some orders through your broker account. Generally, someone who’s stepped into Forex to ‘trade’ will look to place a ‘market order’ – which is a direct purchase of a currency through your broker. It’s not the only option though, you could place a limit order that your broker will make on your behalf – which sees an order placed when a currency hits a certain high or low – or a stop order, which is an instruction for a broker to buy or sell your currency above or below the current market price in the anticipation that the price will move in this direction. The impact of social media and broadcast news sites on the way news is reported is undeniable. The style in which news articles are written and the mediums through which these stories are shared have drastically changed in the last 15 years. But likewise, the platforms showcasing news stories have also continued to evolve, keeping up with the needs and wants of the reader. So, what does the future of the news industry look like will it be online like other publications such as https://proefabonnementkrant.com/telegraaf/? For the first time ever, more people used messaging apps than social media in 2015. Since that initial month, messaging apps have continued to reign supreme over social networks, pulling in more and more users every month. For platforms like Facebook, which has more users reading the news on its site than any other social network, this isn’t bad news. That’s because Facebook also happens to have its very own integrated messaging system, which is highly popular. It also owns WhatsApp. These two messaging platforms pull in 800 million and 900 million users respectively. With Facebook leading the way when it comes to news stories, perhaps the future involves taking these stories to their messaging apps. Users could set their notification preferences based on the type of news story, be it urgent, international, celebrity gossip etc. In the past few years, publishers have invested heavily in their video content. But with the likes of Amazon Echo and Google Home finding their way into people’s houses, is this due to change and the focus shift to audio news? Some companies have already begun experimenting with audio news stories, with the liked of The New York Times creating multiple podcast series. This includes their series named The Daily, which provides listeners with a 25-minute update on current news. A new episode is released five days a week. There has also been a boom in audio investment when it comes to automobiles. It is estimated that 20% of vehicles in the US are currently connected to the internet, though the goal is for this to be 100% by the year 2025. Content creators have felt the benefits of the increase in internet access, with Pandora’s VP of Business Development stating that “Automotive is our fastest-growing listening category.” With Pandora known for its personalised content, is this a precursor for the future of news reporting? Will we soon be listening to our own personalised version of the news? Anonymity is a thing of the past when it comes to the internet. While people may refer to trolls ‘hiding behind their keyboards’, websites are collecting huge amounts of data on users. Creating accounts on websites gives information such as your birthdate, ordering packages passes along your home and/or work address. Your subscription to Birchbox gives an insight into your consumer choices, and your frequent visits to Ladbible.com highlight your sense of humour. All of this data is collected online and used to create tailored suggestions for content you’d enjoy. Facebook in particular enjoy using the information from your likes and links to get to know you better, and will continue to provide what it deems the most useful news stories for each person. The need for add-on tools like Feedly and Flipboard suggest there’s still some way to go with perfect this personalisation. Just as social media decided to get in on the action, it is likely that other companies will adapt to the growing trend of finding news online. Companies not previously associated with the traditional news publications will begin branching out into the news industry. There are two reasons that this is likely. Firstly, companies will try to keep readers on their website. This will help them improve their user stats, find out more about user demographics, increase the price for advertisers with banners on their site, grow the company’s reputation. The list goes on. The second reason that sites will begin offering their own news section is to keep the readers happy. That’s because leading readers away to a different site requires additional seconds for the content to load. According to Mark Zuckerberg, chief executive of Facebook “People don’t want to wait that long so a lot of people abandon news before it has even loaded.” No wonder Facebook’s news summaries can be seen on everyone’s main feed. Becoming event organisers. Many publishers have run their own events, such as Stylist Live and Forbes’ Summit Conferences. Launching their own creative agencies. These are created to produce branded content. Examples of this include the Huffpost Partner Studio and Vice’s Virtue team. Opening research institutes. These teams conduct high-level research, which supports the news generated by the publisher. The Economist’s version is known as the Intelligence Unit. Creating teams to build and analyse user data. At Buzzfeed, the team is building technology that can detect web trends and connects users with content they’re most likely to enjoy. While there’s inevitable change coming to the news publication industry, some things are expected to remain the same thanks to the high-standards set by traditional publishers. While people want content to be available quickly and news broadcasts streamed in real-time, digital publishers continue to pursue the credibility of traditional publishers, raising the bar in journalism. There has been a steady decline in journalism jobs over the past many decades, but a regrowth of the industry to cope with the changes could be a very real future. Only time will tell. It’s always good to be prepared. So, heaven forbid, something happens to you (or your partner), finances should not be a worry. This is where life insurance can play an important role in giving your loved ones peace of mind. There are lots of different policies available, each of which works slightly differently. As such, it’s understandable if you’re left feeling overwhelmed by the options, and with no clue which life insurance policy to choose. It can definitely be a bit of a minefield trying to find the perfect cover for you, but the vast amount of choice also means you’re bound to find something that matches your needs. Here’s a couple of tips for buying life insurance in 2018. Be prepared for the topics you’re likely to discuss before speaking to a life insurance advisor. An advisor will need lots of information from you, in order to decide what cover is best for you. As such, it’s worth preparing some answers ahead of time, so that you’re ready to for all of their questions. This will speed up the whole process and won’t leave you feeling shocked if they ask a personal question. Be prepared to answer questions about your financial history and travel plans, as well as giving details about your health and lifestyle. Research the different types of cover. There are lots of different types of life insurance policies. Some run for 10 years, others for as long as 25 years – or even more. The most popular type of policy is the level term insurance, where the payout is the same regardless of when you claim. Meanwhile a decreasing term insurance will have the payout that gradually shrinks over the policy term. There’s also the option to create a joint policy with your partner, which works on a ‘first death’ basis. Before you commit to a certain company or policy, make sure to speak to an advisor in person or even fill in a questionnaire online to make sure you’re getting the best type of policy for your circumstances. Work out how much cover you need. The amount of cover you need depends on your budget and your requirements. It is known as the ‘sum insured’. Most life insurance advisors will recommend getting a sum insured that is 10 times your annual salary, at the very least. However, it can also depend on other circumstances. For example, if you have a large mortgage and young children, it is advisable to have a larger sum insured than someone with no children and few mortgage repayments left. Find a claim that suits your financial obligations. Do you want your life insurance to cover funeral expenses? Or perhaps your looking for a policy that will help with estate taxes. You can even ensure any outstanding debts are dealt with instead of being passed along to your estate. Conditions such as these are a great way to spare your loved ones the burden of having to consider all of these painful details. Life insurance quotes for seniors over 70 will often cover these extras. Make sure to really consider what you want from your life insurance policy, above and beyond the traditional lump sum. Really think about who you want your beneficiaries to be. Putting serious thought into who you want to receive your life insurance payout is a difficult process. However, it’s something that’s necessary. After all, how many films are there where someone feels snubbed by the contents of a will? While most families may not be as dramatic as those on the big screen, there are important things to consider, like how children will not be able to receive any money from insurance companies until they are 18. If you have an ex-spouse, make sure their rights are clearly stated in the life insurance policy. If you have a divorce agreement that includes child support, then it’s a really good idea to have a corresponding life insurance policy. For example, if the divorce agreement stipulates that you will be providing child support for 10 years, make sure to purchase a term policy for the same length of time. For beneficiaries, you can be named on your ex-spouse’s policy as a ‘party of interest’. Consider a policy with ‘living benefits’. ‘Living benefits’ have become increasingly popular over the years. They are a component of life insurance policies, which give you access to death benefit money yourself in special circumstances. This can be especially handy if you become ill and need to fund private medical care or fund daily living if you’re diagnosed with a chronic terminal illness. Double check that you’re able to review or amend your life insurance policy. Some policies can last for multiple decades, while some can even provide cover until you die. As such, it’s worth getting a policy that you can alter if your circumstances change. For example, things like getting married, having children or getting a different mortgage will all impact the advised sum insured. Be sure you’re getting an accurate quote. While a life insurance advisor will do their best to make the process of getting insurance as simple as can be, there is a lot of information that needs to be covered when choosing a policy. Therefore, it’s important to make sure you’re getting the best policy for you. Also, it doesn’t hurt to doubt check that there are no hidden costs or loopholes that may have a terrible impact down the line. Consider using a ‘free look’ period. If you’re still not 100% sure you’ve chosen the right policy, but are keen to get life insurance in place, some companies will offer a ‘free look’ period. This will let you change or even cancel your policy after is has been issued, if you do so within a certain time frame. Make sure to check with the life insurance advisor that your policy has this period, and how long it lasts for. Lifestyle hacks that are guaranteed to save you money! Do you have enough time and energy in the day to earn more money? With our fast paced lives it’s not uncommon to feel like you don’t have time to sleep – let alone do something that’s going to mean you earn more money. With that in mind, there’s another way to boost what’s in your pocket – that’s to spend less money in the first place! But how do you do it and keep the level of lifestyle that you’ve become accustomed to? Well, we’ve got 12 great ideas that will reduce your outgoing from today onwards. We can’t give you extra hours in the day, but we can definitely save you some money! We waste a huge chunk of money by not planning our meals and just shopping either every day or every couple of days. Buying like this means we rarely ever take advantage of the lower prices that come with bigger packet sizes – leaving our freezers and wallets looking quite empty. Draw up a list of meals for the week, plan ingredients and make one supermarket journey instead of 5! It’s a well-known trick – but turning your thermostat down by one degree rarely makes any noticeable difference to the heat of your home – but can make a big difference to your heating bills when added up over a year. As a nation we throw an enormous amount of food away each year – billions of tonnes in fact. Part of the reason for this is a misunderstanding around what’s good to eat and what’s not. A ‘use before’ date means that the food could potentially be dangerous if you eat it beyond that date (think raw meat, diary, etc) – but on the other hand, a ‘best before’ date is really just advice. Check your food, if it’s a few days over a best before date and it looks or smells as you would expect it to – the chances are it’s perfectly okay to eat! Check the wording and save a fortune on shopping costs. It doesn’t get much better value than free! And, if you’re smart with your searching, you’ll find dozens of things you can that are exactly this price. From museums and galleries to beaches and parks – there’s some incredible free attractions that you can take advantage of if you’re willing to do some web searching to track them down! In this world of box-sets, paid TV channels and expensive streaming services, books look like incredible value for money! Instead of firing up the TV and flicking until you find something you like, pick up a few books. You can find them second-hand for next to nothing – and they’ll take a LOT longer to read than even the chunkiest box set! If you’re struggling with debt you might not realise that there are some great options out there for coming to an agreement with your creditors and reducing the amount you repay. To work out who you can turn to for support and guidance, check out reviews of companies who can potentially help – like this one from https://www.facethered.com – and slice your debt down to size! Shopping when you’re hungry is a recipe for disaster! You’re far more likely to buy more than you need – as well as increasingly likely to spend money on expensive food that’s got attractive packaging made to appeal to your empty stomach! You can thank Mark Zuckerberg for this tip! Rather than pick out a different outfit each day – he sticks to a modest combination of a t-shirt and jeans. Now, you might not be able to do exactly the same – but that doesn’t mean you can’t have some staple go-to items. Sticking to a basic wardrobe means you’re less likely to have to purchase new seasonal items – or pick out specific items that compliment only one outfit. Deleting your saved card details might not save you money directly – but it puts another barrier in the way of spending money online – which is one of the quickest and most tempting ways for us to spend our money. It’s a lot less costly to heat yourself than it is to heat your entire house! Buying some decent quality wool jumpers means you can turn the heating right down – if not switch it off completely. Multiple layers works well too. You can worry about whether or not it feels like you’re being a ‘skinflint’ when you relax on the beach holiday you’ve managed to save for with money that everyone else has been spending on energy bills! If you’ve got any long-distance journeys coming up try to look for tickets months in advance. Even if they’re not available right away you’ll usually be able to create an alert that will let you know when they go on sale. In some cases, train tickets can be up to 90% cheaper when bought in advance – money that’s a lot better in your pocket! Buying expensive cups of coffee might feel like a treat, but in reality it’s an extremely expensive habit if you do it every week or every day you’re at work. If you check out your local supermarket or a good online store you can find insulated cups that will keep a homemade cup of coffee hot all day – and even fully waterproof ones that you can seal and throw in your work bag to be consumed whenever you want. We’re not saying that you have to downgrade to instant coffee either – even fresh home ground coffee is a fraction of the price of a shop made cup! How to deal with Gambling Addiction and the debt that comes with it? Gambling is something that is inherently part of popular culture, it’s often portrayed in movies and media as a high-end sophisticated past-time that glorifies Las Vegas casinos yet we all know the reality is a lot different. Online gambling has enjoyed a boom over the last 15-20 years or so but with this comes a rise in addiction. For the UK Gambling Commission and many other governing bodies the types of addiction that online gambling can be a lot different to what we think of in its traditional sense. In a survey carried out by the commission in 2015, studies found that 62% of people gambled, with 1% of people identifying as problem gamblers. A further 4% of people surveyed explained they were at a moderate to low risk of facing addiction or problems with their gambling. Gambling addiction is an illness that shouldn’t be taken lightly. Addiction on the whole is something that can affect the relationships that you have with your friends and family but both your financial situation that can lead to issues with your bank or even lead to further mental health issues and things like that. This article is designed to give you tips and insights into how to overcome gambling addiction and deal with your financial problems relating to your addiction. If you’ve been sustaining your gambling with many different payment methods or multiple cards this is only enabling your addiction, try minimising the options you have to deposit, slowly cut-off your access to certain credit or debit cards or nip the source as a whole. Additionally, it’s also possible to stabilise your credit report which increases the difficulty of opening any new credit card or loan accounts to feed you’re playing habits. Recognising that you have a problem is the first step and often the eye-opener that you need that will aid the next steps of your recovery. The psychology of gambling is a very complicated phenomenon but at its most it boils down to whether you can walk away or not. The trick is to only gamble what you can afford and see gambling as a form of entertainment rather than a way of making money. For example, if you set £50 aside to play some blackjack or slot games then you can be safe in the knowledge that you have fashioned a start and end to your session. Setting strict depositing limits is a good way of maintaining these time and depositing variables. If you do lose, don’t chase your losses. Accept that this is part of the risk and enjoyment of gambling. It’s a common occurrence for many gamblers to think their next spin or next hand will be the one where they recover, most of the time this never materialises. Looking for help from friends or family can often put you both in a difficult position, theirs feeling and emotions involved which often lend themselves to creating a lack of objectivity when it comes to treating your behaviours. There are many trained medical professionals who can talk through your problems and the psychology behind it. Once you understand the issues that lead your unhealthy behaviours you are separated from the issue and in pole position to amend the situation. Once you’ve done this you can begin to create healthy habits. Why not create a list of people you owe money to and slowly look to pay back these debts. Problematic gambling is a very real issue across the globe and can effect anyone, at any time. The more we can do to normalise the addiction the easier it will become to treat the problems that are at bay. Always understand that there are many means of seeking help for your addiction and developing healthy habits to curb your addiction. Put your money to work for you – How to get started! If you have a little extra cash and you really need it to be more than just a ‘little’ then putting it to work for you is going to be the best thing that you do for a while, financially speaking. You can either use it to relieve a little strain elsewhere, or use it to save more money later. Either way, just having sat there is not helping so you should make it work for you. On the other hand, perhaps you don’t have a little cash lying around but still need fast access to some, for deposits or an emergency repair? Whatever it’s for, getting your hands on cold cash in a hurry is not always that easy, thankfully there is always OppLoans should you need it. For everybody else, there are several ways that you can make those extra dollars actually useful. Getting in better financial shape is just about everybody’s dream at the moment, given the uncertain times that we find ourselves living in, so what are the best ways that we can help ourselves achieve it? Well, these suggestions may not offer results that are as tangible as returns on stock and shares trades, but their payoffs are every bit as real and effective in the long term. The first, most powerful use you can put your ‘spare’ money to is investing in a savings fund. Don’t have one? Get one. Financial planners suggest saving as much as 3 to 6 months worth of income in this fund. Should the unthinkable happen, and you lose your job, you have this safety net to help break your fall. Sounds simple, but doing it is much harder. Even if you can’t manage those ambitious sums, putting aside something is a whole lot better than nothing. Here are some other ways that you can put extra cash to work, in order to help shore up your finances. Do you have a high interest debt? Using that spare cash to pay it off could save you even more later as you no longer have to pay out extra just to satisfy the interest. Debts that come with lower interest rates on items such as a mortgage or vehicle may not be as immediately important, just so long as those repayments represent no more than 30% of your income – any higher than that and they need to go, sooner rather than later. If you have a health savings account, consider fully funding it. For instance, the top amount that a single individual can put into their HSA, in 2017, is $3,400. For a family, that maximum rises to $6,750. Health savings accounts are loved by financial planners because it known as being “triple tax-free”. What does that mean? Well, you are putting money into it that hasn’t been taxed yet, the earnings compound free of tax, and account holders can withdraw from the account, tax free, if the money is for “qualifying” medical expenditure. Consider hiring a fully certified, professional financial planner to, well, create a financial plan for you. It can be difficult to plan for life after retirement if you don’t even fully understand where you are right now, financially speaking. People today are less attuned to fluctuations and moves in the stock market, which is not necessarily a bad thing but can make planning things out that bit more difficult, as one would imagine. Financial planners charges can vary, but upto $2,000 a year is not unusual and the services provided can include, cash management, insurance, retirement planning and regular meetings. If your paycheck has a tendency to leave you with more than you need each month, then you could always use the extra money to max out your workplace retirement accounts. Additionally, if you happen to 50 or over, you should remember that you will be able to make ‘catch up” payment contributions in addition to the $18,000 capped, regular contributions that are allowable for the year. It happens to all of us eventually, and there is simply no avoiding the inevitable. Hire the services of an attorney and work with them to create an estate plan, or at the very least a will. A caring.com survey that was conducted fairly recently (recent at the time of writing, at least), showed that just 42% of those surveyed (over 1,000 individuals) had created documents like a will or trust. The cost of hiring an attorney for this type of service is not as steep as many may realise, with fees usually falling between $300 and a $1,000. If this does happen to be a little on the steep side, there are do-it-yourself options that start around the $50 mark but these are obviously more time consuming. Taking care of burial plots can also be a good idea, if a little morbid, and can take the pressure of family members when the time comes. In the end, when all is said and done, you may not need to do any of the above. Simply building reserves can help you out of a tight spot later on down the line. There is nothing wrong, nothing at all, in just putting any and all spare cash into an account that will provide returns on interest. Obviously, the more you put in the more it attracts. Whatever you decide to do, investing for the future and making your money work for you, in one way or or other, is never a bad idea. Moving house can be expensive – and that’s before you’ve starting hitting the shops looking for that perfect new sofa and curtains. If you want to save money for the exciting bits of moving to a new home – you’ll need to know where you can really trim back on the boring logistical stuff. A lot of people find that their finances run away with them when they’re moving house. This is especially true when the pressure starts to mount – a few extra pounds here or there might not matter as you desperately hunt for boxes, a van or last minute essentials, but without something to refer to, that extras spend will soon add up. Have a look at how much you can afford to spend on each part of the move and try to stick to those figures. It might mean a bit of pre-planning – but sometimes just having a rough idea of what you’d like to spend and how the numbers are adding up can stop you going way over budget. Whether you’re moving yourself or you’re having a company do it for you, the sheer amount of stuff you’re moving contributes to cost significantly. That might be due to the size of removal truck that’s being rented, the number of people that are required – or even just the fuel you’re putting into your car ferrying stuff yourself. If there are boxes you haven’t unpacked since your last move, now’s the time to start being a little more brutal and getting rid of things you don’t want, don’t use or don’t need. If you’re embracing tip number 2, then why not see if you can recoup some of your moving costs by selling items that you no longer want. With most online selling platforms the key to quick sales is a low cost – you don’t have to lose money, but there’s no harm in taking a lower offer if it means you don’t have to lug that old wardrobe into and out of a truck. Whether you’re renting a van and doing it yourself – or you’re employing the services of a professional removal company, it’s almost guaranteed that it’s going to cost you a lot less if you can do it during the week – rather than over a weekend. Now, solicitors and lenders often like to wrap up house purchases on a Friday – but there can be some flexibility, so ask, book a day or two off work – and reap the financial benefits. If you can anticipate exactly when you’re going to be moving then booking removal companies or van rental in advance can really reduce the cost. It’s a cash flow thing a lot of the time – companies like to know there’s money coming in, so they’ll often give you an incentive to commit early. There’s often one or two big removal companies who you’re familiar with – but they’re not the only options. The internet now means we can shop around for the best deal – so try some comparisons and you could very well save a small fortune! Now, this tip isn’t necessarily going to save you money on the day of your move – but it might mean you don’t have to replace broken valuables further down the line – so might save a considerable amount moving forward! Always check that removal companies are insured to move everything that you have. Sure, they might not mind shifting the piano or antique pictures – but if either slip off the loading platform you might not get the compensation you expect. Be sure your items are covered! Working out whether or not to move yourself is tricky – if it means lost income it might be worth getting a professional company to help, especially considering how quickly they’re likely to move you. That said, if you can book a couple of days paid holiday and have a couple of friends who don’t mind lending a hand, you might be able to get things done far more cheaply yourself. If you’re not sure, plot the costs of both and see which is the most appealing. Boxes are a prime item that you can end up paying too much for if you start to get desperate. Most removal, storage and stationary outlets will have big and robust boxes you can buy – but they’re costly, so at the very least, shop around. Better yet, search on local for-sale sites and social media groups – people tend to just want rid of them after a move, so you can pick them up for a fraction of the price. Also, consider asking at your local supermarket – the boxes and pallets that heavy items like fruit and bottles come in are often perfect for shifting your stuff. If you’re moving with the help of a professional company there’s often an option to have them do the entire job for you – including packing cupboards, drawers and even sheds and garages. While this is likely to save you an enormous amount of hard work – it’s also likely to cost you a lot too! If you start early and allocate one or two small jobs each day, you can make light work of packing your house by yourself – and save a small fortune in doing so. Now, it’s unlikely that you’re going to make a big mistake with furniture – but if you do, it can be extremely costly to put right. It might seem excessive, but measure and double check that everything is going to fit into the new house before it goes into the van. If that corner sofa isn’t going to fit through the door or up the staircase, then you’re facing a really tricky situation that’s only going to be solved by spending more money. We’ve heard endless horror stories about emergency call-outs for window fitters or joiners who need to remove glazing units or door frames to get big items of furniture in or out of awkward houses, so be sure to measure! Making a personal injury claim is not always an easy decision you might think you have a great case but after seeing a solicitor it might start to look your chances of winning are well, to put it bluntly unlikely. And you might not even see a solicitor after all you don’t necessarily need to use one to claim for compensation. So, how do you claim compensation after suffering a personal injury and is it worth it? Unfortunately, there really is no one answer to that it really depends on the circumstances surrounding your personal injury. There isn’t one uniform method that can be used when you’re making personal injury claim there are many variables to take into account. For example, if you suffer an injury due to a traffic accident then the way you’d go about claiming compensation is different to the way you’d claim if you suffered one at work. Let’s take a look at the main ways you can go about claiming for compensation after a personal injury in more detail below. A claims assessor such as Hutchison & Stoy also known as a claims management company can help in a number of different personal injury claim cases. However, certain claims assessors might specialise in certain types of cases so make sure you find out the details of the assessors first. Claims assessors do have a variety of benefits to them they will usually have a lot of contacts in the legal industry, and they will be able to offer advice and assistant throughout your case. However, while claims assessors can be very useful for handling your personal injury case the might not be able to offer all the legal help of a solicitor or a law firm. If you want to take legal action to claim compensation in the civil court, then the first thing you will need to do is find a solicitor. This is easier said than done because there are a lot of solicitors and law firms to choose from. The best all-around option is to find a solicitor who will work on a no win no fee basis, that way even if you do lose you won’t be out of pocket. Time limits do apply when it comes to getting a solicitor for a personal injury claim, although this does vary depending on the type of injury but it’s still best if you claim as soon as possible. If you have been injured at work and are part of a Union, then you should contact them as soon as possible because they will probably be able to supply legal assistance and the same applies for injuries caused by traffic accidents if you’re a member of a motoring agency. Legal action might sound scary but in many cases, your employer may be willing to offer an out of court settlement you might also be covered by insurance for accidents as well. But this all depends on your own individual circumstances, if you do go to court and win then your solicitors will take a portion of your winnings to pay your fee. Hopefully, this is never something you’ll have to use because the criminal compensation authority only deals with personal injuries that have been caused by a criminal act. There are many variants of this it could be due to you being assaulted or it could be an injury you sustained when assisting police officers, to give you just two possible examples. However, when you get injured you must report it to the police as soon as possible and then make an application to the Criminal Injuries Compensation Authority. You will usually have two years to do this and you can do it online or by phone and you can get assistance from the police and the Citizens Advice Bureau. If a criminal is convicted of a criminal offence that relates to your injury, then they can be ordered by the court to pay you compensation. However, in cases like this, you cannot apply yourself you will need to give the prosecution the details of your injury and information about the losses you have suffered. The amount of compensation you will receive will vary on your own individual circumstances however the maximum amount is set to £5000. The offender will often have time-frame in which they must pay you your compensation by and if they make a criminal compensation order they will also be responsible for ensuring you receive your compensation. Is Making A Claim For Compensation Worth It? So, now we’ve taken a look at the different ways you can approach getting compensation the question remains whether claiming compensation is worth it? The financial impact of a personal injury can be very far-reaching and it’s understandably one of the things people least think about. After all, after suffering a personal injury are you really going to be thinking about your finances? I doubt it, but your finances are very important and by applying for compensation you will be able to recoup any losses. But claiming for compensation will also allow you to get justice for what happened to you as well. Compensation is literally the recognition of loss, injury or suffering, isn’t it? So, I think in the majority of cases making a claim for compensation is something everyone should consider and by using a no win no fee solicitor you will not run the risk of losing out, will you? While being rewarded money isn’t going to change what happened to you it will help you find peace and allow you to move on with your life. Remember in the meantime you should make an appointment with the Citizens Advice Bureau, so they can help with any outstanding financial matters. Compensation won’t change what has happened to you, but it will make your recovery easier and that in my opinion always makes it worth it. So, however, you decide to do it, applying for compensation is worth it.